1. Precast piles can be cast well before the initiation of the work bringing about fast execution work. 2. 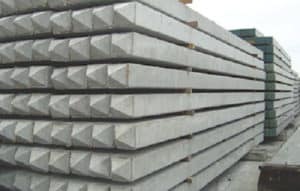 Construction of precast piles can be inspected easily and if any deformity distinguished can be redressed before utilize. 3. The reinforcement stays at the right position and doesn’t get dislocated. 4. They can be driven under water. 5. The driving of neighboring pile does not create unfriendly impact on the piles already driven. 6. They can be loaded very soon after driving to the required depth. 1. Due to their heavy weight handling and transportation of precast piles is very difficult. 2. The correct length of a pile can once in a while be pre-decided and hence it must be extended sometimes, rendering the piles becomes weaker at the joint. 3 If a pile is observed to be too long after driving it must be cut down which includes additional labor, time, and cost. 4 Piles are subjected to the driving shocks after the concrete has completely set. This may lead to defective construction. Also Read- 8 Useful Tests To Know The Quality Of Bricks.